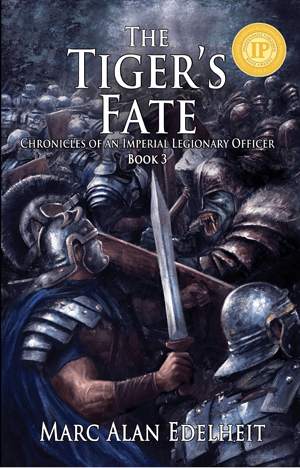 The third installment of the award-winning Chronicles of an Imperial Legionary Officer series is here! A nobleman from an infamous family, imperial legionary officer, and a born fighter…Captain Ben Stiger has successfully thwarted the attack from an army of the Cyphan Confederacy. Now Stiger, his men, and his new dwarven allies have fallen back behind the great walls of Castle Vrell. Stiger finds himself named Legate of the Vanished, the long lost 13th Legion. This title and his own word binds him to the terms of the Compact, an ancient and mystical alliance formed nearly two thousand years before. The snows have come and the mountain summit into Vrell is impassable. On one side of the pass sits an army of the Cyphan Confederacy some twenty thousand strong. On the other sits Stiger, his company, the remnants of the 13th Legion and a dwarven army. Each side is waiting for the spring thaw.